The captivating story behind the bestselling single in the history of Christian music—and the man who wrote it. MercyMe's crossover hit, "I Can Only Imagine," has touched millions of people around the world. But few know about the pain, redemption, and healing that inspired it. 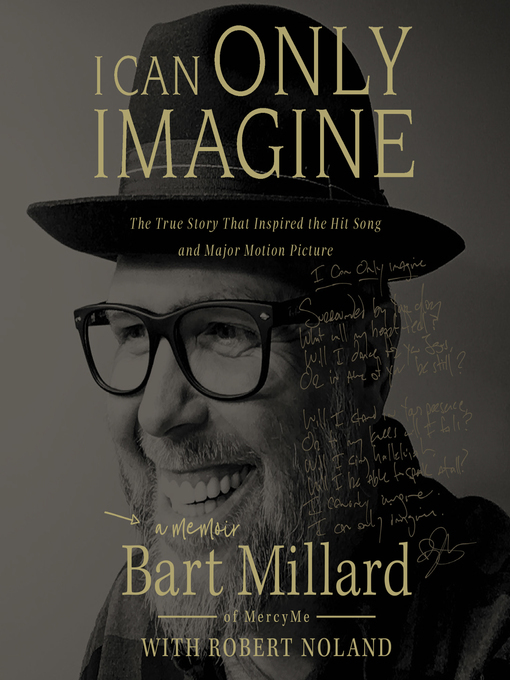 Now Bart Millard, award-winning recording artist and lead singer of MercyMe, shares how his dad's transformation from abusive father to man of God sparked a divine moment in music history. Go behind the scenes of Bart's life—and the movie based on it—to discover how God repaired a broken family, prepared Bart for ministry through music, and wrote the words on his heart that would change his life forever. I Can Only Imagine is a front-row seat to witnessing God's presence throughout Bart's life. Whether falling in love with his childhood sweetheart or mourning his father's death, founding MercyMe or flailing in the midst of its success, Bart continues to place his trust in God's plans—plans that continue to surprise and surpass what Bart could have ever imagined.